My wife recently informed me that she tried freezing garlic. She hadn’t considered the possibility until she was inspired by a story about President Ma’s New Year’s shopping excursion at the traditional market with his mother. The vendors all tried to give him free things, and he welcomed all gifts except for garlic. He got so much garlic during the campaign that his freezer is full of the stuff. I’ve been writing a blog entitled “frozen garlic” for two years, and my wife needs President Ma to click the switch in her brain. Go figure. Which DPP candidates did well, and which were terrible? We could judge this by who won and who lost, but that overlooks the very important factor that it is a lot easier to win in a place like Tainan than it is in a place like Hsinchu County. So instead of looking at winning and losing, I’m going to compare each candidate’s performance to a party baseline. I’m using the presidential vote as a baseline, mostly for convenience. The CEC still hasn’t released the downloadable precinct level election data [I think they are waiting to finish all the recounts], so this is the fastest way to put together a small data set. This is still very quick and dirty. Many districts cross township borders, and I don’t have time to figure out the exact presidential votes in these districts. Instead, I am just putting the entire township total into one district or another. For example, Shilin 士林 District is split between Taipei 1 and Taipei 2. Most of it is in Taipei 2, but the Tienmu 天母 area is in Taipei 1. I put the entire Shilin District into District 2. Since the Tienmu area leans heavily to the DPP, this has the effect of making District 1 look greener than it really is and making District 2 look bluer than it really is. So this is not perfect, but this is the best I can do right now. Let’s look at the All-Stars. 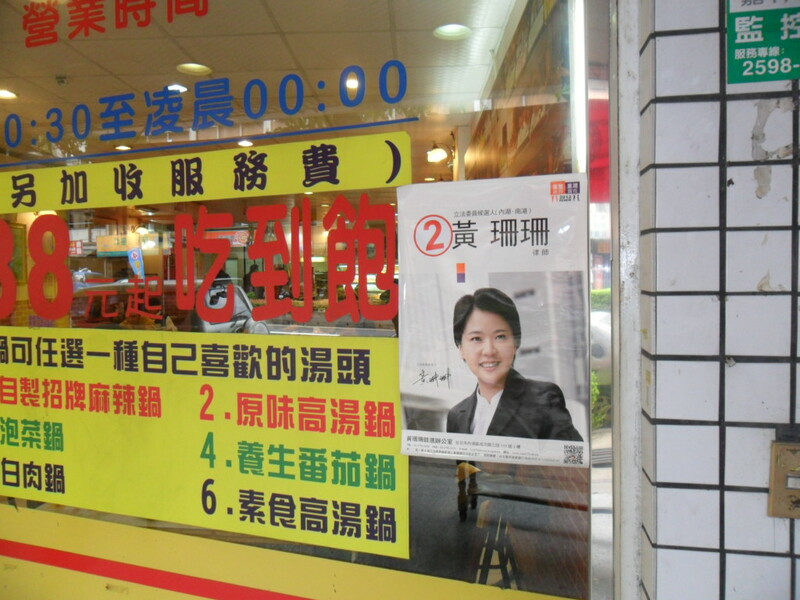 Here are the candidates who beat Tsai Ing-wen by at least 4%. Districts with asterisks are ones that might not be so accurate. District Name Tsai LY% + Win? Liu Chao-hao 劉櫂豪 tops the list, but a third of Taitung’s population is Aborigines who vote in the presidential election but not in the district legislative election. Aborigines vote overwhelmingly for the KMT, so Liu benefitted tremendously by not having them in his district. Liu probably ran ahead of Tsai, but not by much. I don’t think he belongs on this list. He owes his victory to a split KMT vote, not to a spectacular personal vote. Pan Men-an 潘孟安 in Pingtung 3 is in second place. His district also has quite a few aborigines, but they are a significantly smaller percentage of the population than in Taitung. Pan’s bonus is inflated, but he clearly belongs on this list. 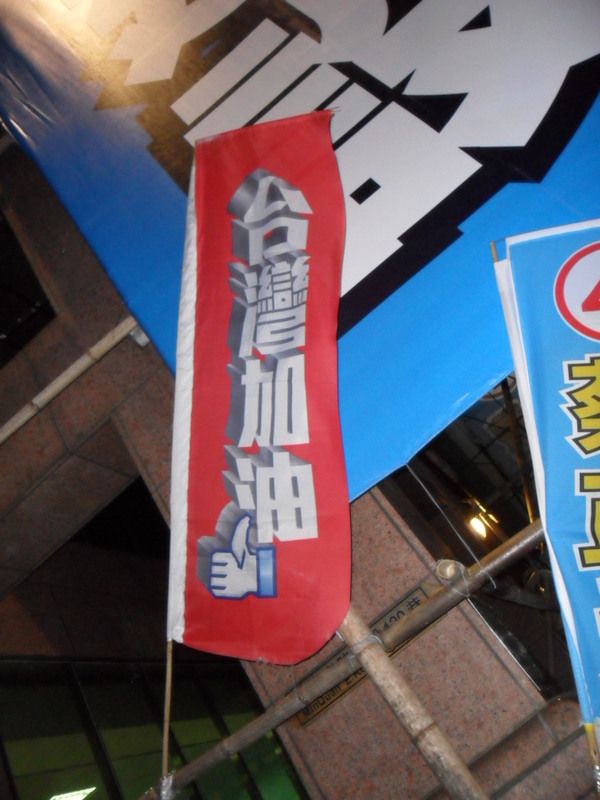 The KMT ran a very weak candidate, and Pan crushed him. Several other candidates had similar situations – a clear DPP majority in the district, a very weak KMT candidate, and a crushing victory. 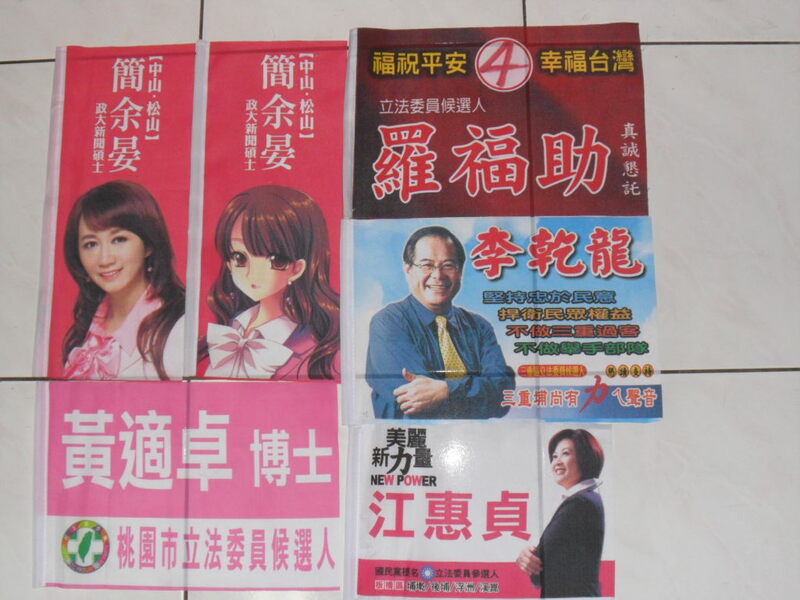 These candidates include Lin Tai-hua 林岱樺, Huang Wei-cher 黃偉哲, and Chen Ting-fei 陳亭妃. One person who you might think belongs in the above category but actually does not is Lin Shu-fen 林淑芬 (New Taipei 2). Her district is only marginally pro-green. In fact, it is almost exactly identical to neighboring New Taipei 3, which the DPP won by a razor-thin margin. Lin Shu-fen turned her slight advantage into an overwhelming victory. Note that the four candidates in the previous category and Lin Shu-fen are all incumbents. There were five DPP candidates who won in majority blue districts. In these districts, Tsai had less that 50%, but the legislative candidate significantly outpolled her and was able to transform defeat into victory. These are the DPP superstars this year. Three of the five are in Taichung, where the Tsai Ing-wen did not have a majority any district. However, Tsai Chi-chang 蔡其昌, Lin Chia-lung 林佳龍, and Ho Hsin-chun 何欣純 ran 7.9%, 6.5%, and 4.3% ahead of her. You can really see the importance of good candidates in these close Taichung races by the fact that Tsai Ing-wen actually got a higher vote share in Taichung 3 and Taichung 8 than in any of these three districts. However, the DPP candidates in those two districts were extremely weak. (Taichung 3 is Michael Turton’s home district. This should make him puke.) The other two DPP superstars were Yang Yao 楊曜 in Penghu and Wei Ming-ku 魏明谷 in Changhua 4. Note that none of these five were incumbents. Finally, there are three candidates who did very well in a losing effort. Perng Shaw-jiin 彭紹瑾 and Chang Liao Wan-chien 張廖萬堅 both ran well ahead of Tsai, but they started from such a deep hole that even this nice performance didn’t come close to victory. Kuo Jung-chung 郭榮宗 in Taoyuan 2 very nearly joined the superstar category. 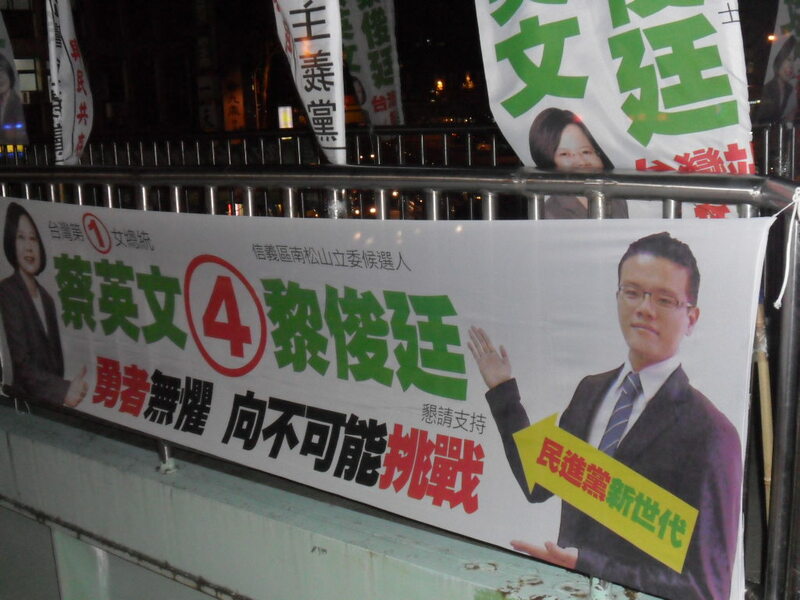 However, he started from a deeper hole than any of those five, as Tsai only got 44.6% of the vote in his district, and it was a two candidate race with no minor candidates to siphon votes away from the KMT candidate. Kuo ran 5.2% ahead of Tsai; he needed to run 5.5% ahead. Regardless, Kuo, Perng, and Chang Liao can all hold their heads high in defeat. Huang Jen-shu 黃仁杼 probably doesn’t belong on this list. Part of Zhongli City is in Taoyuan 6, and that part, which has a heavy military population, is overwhelmingly blue. Tsai’s vote includes all of Zhongli City, so it looks low. Tsai’s vote in Taoyuan 3 is higher, and Huang probably did not run far ahead of her, if at all. I’ll look at the poor performers next time. Speaker Wang Jin-pyng 王金平 made my day today by suggesting that electoral reform might be a good idea. I love this guy! He is worried by the disproportionality of the current system, the fact that it crushes small parties, and, most of all, that the blue areas are becoming bluer and the green areas are becoming greener. He probably feels this personally, since the KMT incumbent in his hometown got swept away in the local DPP tide. As I wrote a couple of months ago, I absolutely hate the current system. Almost anything would be better, including going back to the old system. The DPP’s preferred option is a MMP (mixed member proportional; for details, see the linked essay) system. However, after watching the DPP’s debacle in determining its party list this year, I don’t think an MMP system would be the best choice for Taiwan? What would be the best choice? I believe an Open List Proportional Representation system would fit the bill almost perfectly. One thing the DPP has discussed is asking the Council of Grand Justices to rule whether the current electoral system violates the constitutional principle of each vote being equal. I don’t like this idea at all. The electoral system is written in the constitution. It can’t be unconstitutional if it is in the constitution. I certainly don’t want unelected judges to decide which part of the constitution is more constitutional than some other part of the constitution. If you want to change the constitution, don’t take the lazy route and rely on judges. That would set a very dangerous precedent. The solution has to come through the political process of amending the constitution. Here’s my up to date handicapping of all the races. It still looks like the blue camp will retain a majority, but that is not a sure bet by any means. The hardest line to draw in this particular exercise was the one between “leans blue” and “tossup”. On another day, the two might have had 15 and 16 districts, respectively. I also think that the green camp is likely to win well more than half of the current tossup group. Keep in mind that the blue camp will win all six aboriginal seats. I’m still basing this all on a small KMT overall victory, say about 52-48. If the DPP wins the presidency by 52-48, they will probably win all the tossups plus a couple others, such as New Taipei 6, Taichung 3, Miaoli 1, and Penghu. The basic point is that I can imagine scenarios in which the DPP wins a majority without stretching my imagination too much. The KMT won the presidency by 6 points, and, more importantly, the blue camp beat the green camp by about 9 points, so my predictions should be overly optimistic for the DPP. Here is the table. KMT wins are blue, and DPP wins are red (green is hard to see). I think I misclassified a few of the seats that I got right. 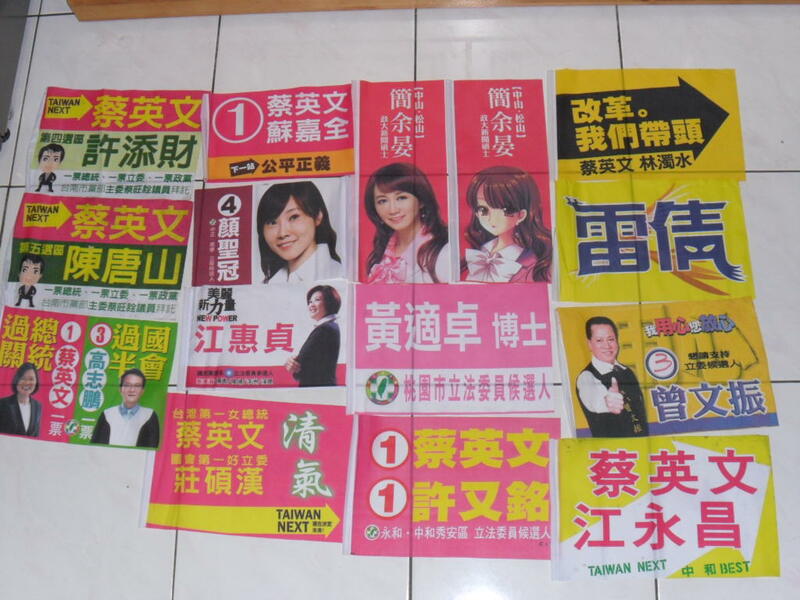 Taipei 4, Taoyuan 1, and Taoyuan 4 should have been blue leaning seats, not tossup seats. In those districts, Tsai’s vote was not close to Ma’s. Tainan 3 and Tainan 4 probably should have been listed as leaning green, not safe green. What about the ten races I got wrong? Well, in the leans green category, five of the eight losses were by razor thin margins (Taoyuan 2, Changhua 1, Yunlin 1, Chiayi 1, Pingtung 2). 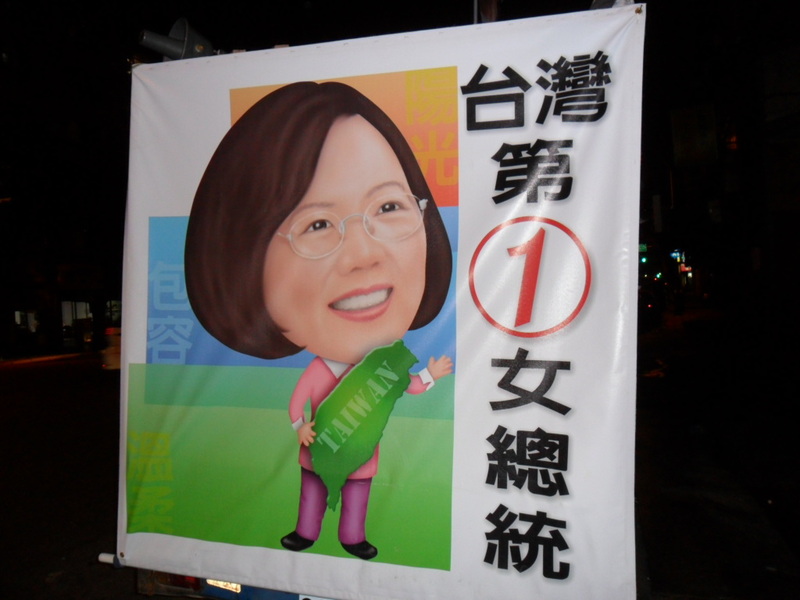 If Tsai had lost by four points instead of six (or nine), the DPP would have won those five seats. 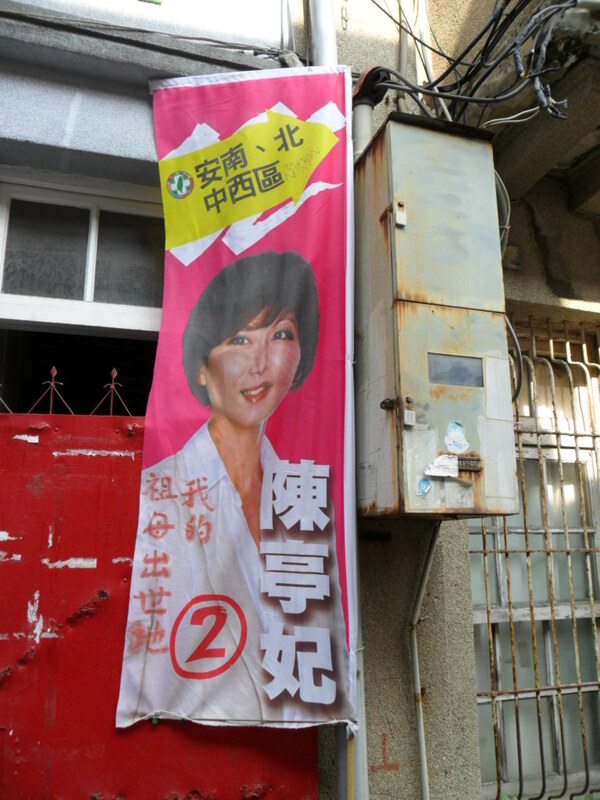 I’ll blame the nearly perfect split of green votes in Kaohsiung 9 on CSB’s mother-in-law’s untimely death. 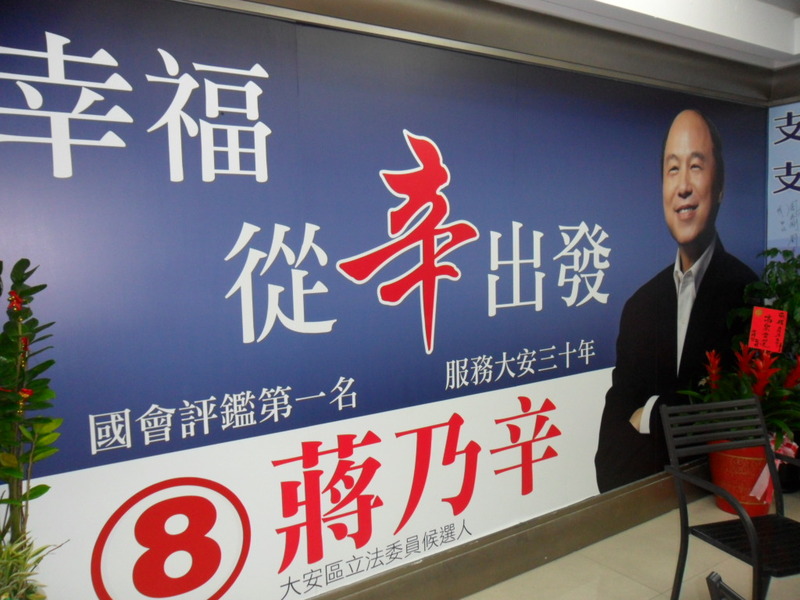 The DPP should have won Taichung 8; its candidate was shockingly weak. I have no excuse for New Taipei 5. This one is in the wrong category. In recent elections, Shulin has been a fairly good area for the DPP, but this time Tsai lost to Ma in Shulin by a clear margin. The two misses in the leans blue category were highly surprising to me. 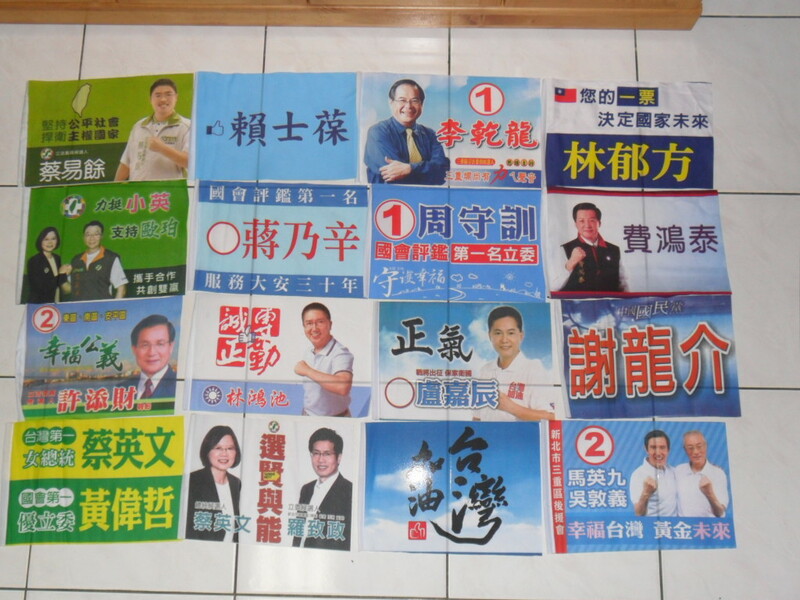 Ma won a majority in both districts, and the KMT had seemingly entrenched incumbents in both. At least I can claim I had my eye on Penghu; Changhua 4 was completely unexpected to me. Heck, the DPP candidate was a familiar old face, and I thought we could be sure that we knew what he was (not) capable of. Every election has at least one completely inexplicable result, and this was it for me. Overall, this wasn’t perfect, but it wasn’t bad considering I had no polling data to work with. Judging from the campaign advertisements, I’m pretty sure that at least half of the legislature has been judged as “the number one legislator.” Chiang Nai-hsin 蔣乃辛, who hasn’t even been in for a full term is apparently number one. Just off the top of my head, here in the Taipei area, incumbents claiming to be number one include Ting Shou-chung 丁守中, Chou Shou-hsun 周守訓, Chiang Nai-hsin 蔣乃辛, Lai Shi-pao 賴士葆, Lin Shu-fen 林淑芬, Li Hung-chun 李鴻鈞, and Lin Hung-chih 林鴻池. I’m not sure about some of the others; the only ones I can be pretty sure are NOT claiming to be the best are Tsai Cheng-yuan 蔡正元, Chang Ching-chung 張慶忠, and Lee Ching-hua 李慶華, who probably decided that no one would believe such a claim. Heck, we even have a former legislator (Lin Cho-shui 林濁水) making that claim. My favorite response comes from Taipei 2 challenger Yao Wen-chih 姚文智, who retorts that his opponent, instead of being the best student, might need to be held back. Somewhere in the depths of the internet, I ran across this gem. Now, the law says that we can’t publicize any survey results after Jan 4, so I’m just pointing you to Tsai Cheng-yuan’s 蔡正元 blog. He released a survey on Jan 3, and I’m scratching my head about it. 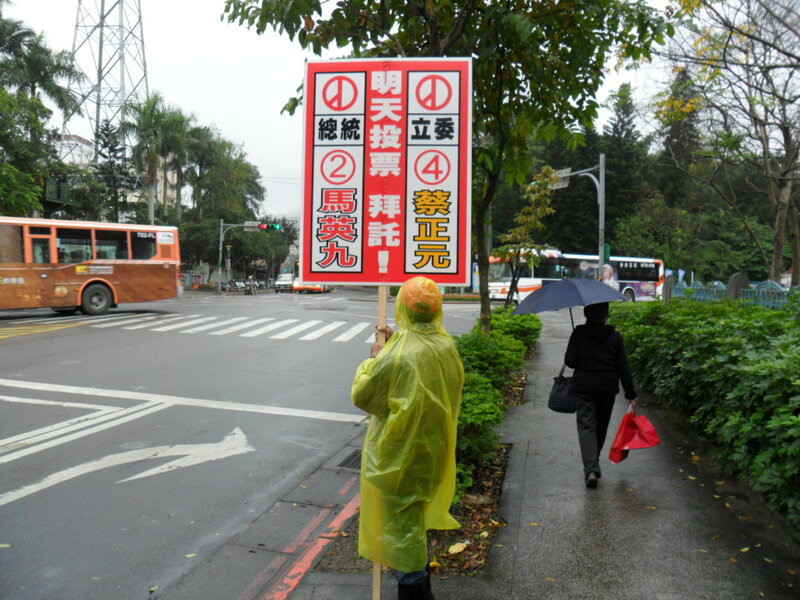 He wants to tell Huang Shan-shan 黃珊珊 supporters that their candidate’s cause is hopeless, and they should strategically vote for him to avoid throwing the Taipei 4 seat to the DPP. However, I think his poll accomplishes the exact opposite. Tsai and Huang are close enough that if I were a Huang supporter and saw this, I would conclude that the two are close enough that we really can’t be sure that Tsai is the stronger of the two. In other words, this poll would give me permission to go ahead and vote for Huang. 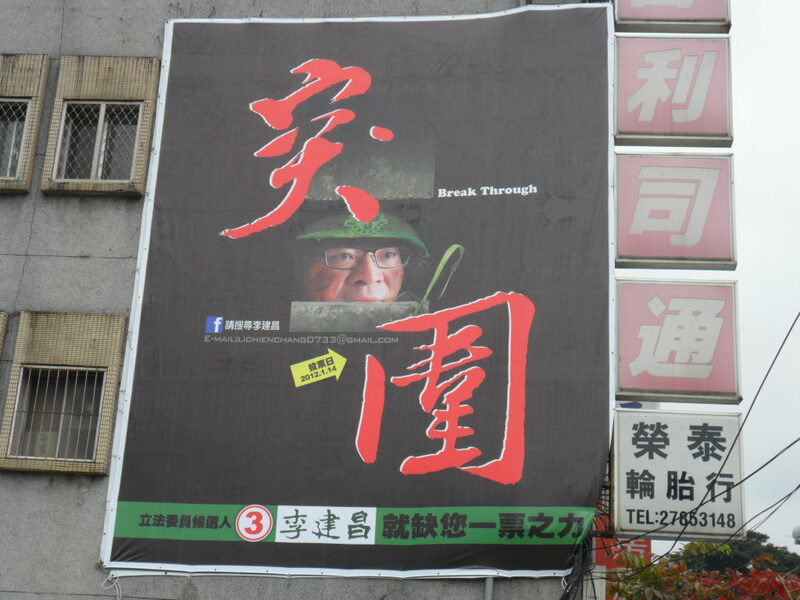 I don’t know what the Tsai campaign was thinking about. No one really believes that his own poll numbers announced on his blog are objective or neutral. Is this the best he could do? If it were me, I would have cut her support in half before publishing the numbers. This tells me that Huang is a lot stronger than I thought she was. 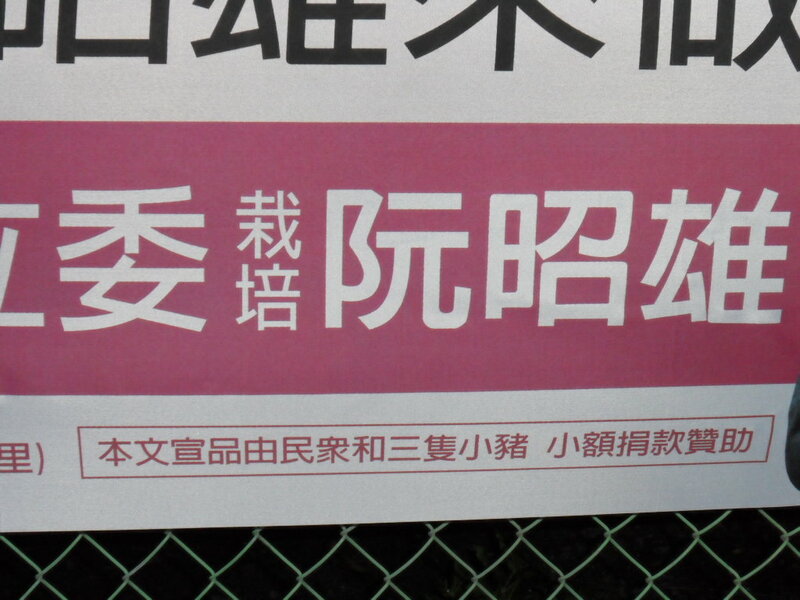 Either that, or the Tsai campaign is marked by a bit of incompetence. Fortunately for them, the counter shows that only 55 people have viewed that post. You are currently browsing the Frozen Garlic blog archives for January, 2012.